What is the role of private health insurance companies and their advisors? Health Happenings: Do you immunize? People with arthritis are taking a growing interest in how private health insurance works, particularly given the benefits reform underway. This comes as no surprise as 23 million Canadians rely on private health insurance for reimbursement of their essential medications. 65% of Canadians obtain drug coverage through private insurance. In this issue of JointHealth™ monthly, we take a closer look at private insurance and arthritis in the workplace. Arthritis is the most common cause of work disability in Canada and typically occurs during prime working years, between ages 35-50. The impact of arthritis costs the Canadian economy more than $6.4 billion annually. Lost workdays due to long-term disability account for about two-thirds of this total. When an employer works with their private insurer to consider the health of employees living with inflammatory arthritis (rheumatoid arthritis, spondyloarthritis, psoriatic arthritis and gout), they are increasing their work candidacy pool by 2-3% (the percentage of people in Canada living with inflammatory arthritis). Within ten years of the onset of rheumatoid arthritis (RA), up to 50% of people living with RA are work disabled if left under treated or untreated. One out of every 100 Canadians - about 300,000 Canadians live with RA. An estimated 1 in 136 workers is living with RA, which will increase to 1 in 68 workers. Similarly, 1 in 6 Canadians has osteoarthritis, this will increase to 1 in 3 Canadians by 2020. By accommodating these workers' needs, the work force will remain stable, consistent, and local. Does this sound familiar? You have arthritis and you're having a difficult time at work. The obstacles of fatigue, pain, stress and depression seem insurmountable and lead to your inability to produce and meet deadlines. These and other obstacles often force employees with arthritis to leave the workforce earlier than planned, sometimes going on long-term or permanent work disability. Communication around the unique work challenges brought on by arthritis is important, yet the latest research tells us that employees living with arthritis often do not tell their employer about their disease because of concerns their disclosure could lead to discrimination and loss of employment. Dr. Diane Lacaille of the Arthritis Research Centre of Canada has conducted studies to determine what workplace factors were closely linked to the risk of a work disability lasting six months or more. She found that high physical demand, low job independence (that is, minimal control over the pace of work and how duties are performed) and poor support from co-workers aggravated arthritis symptoms and accounted for more lengthy absences from work. Case management of drug claims - review of a physician's proposed treatment plan to ensure it is "reasonable"; identifying alternative treatments, monitoring adherence; limiting/declining payment. Preferred provider pharmacy networks - requirement to purchase medications from specific pharmacies, a significant challenge for people living with arthritis who have restricted mobility. Therapeutic substitution - substitution of one medication for another by a health professional other than the one who wrote the prescription. Reference-based reimbursement - a requirement for the employee to pay the difference between the price of the medication prescribed by their physician and the one comparable to it listed on their extended health benefits plan. Special authorization process - only a selection of medications will be covered by the benefits plan if the person meets specific criteria. Criteria can often be considered too restrictive and the process for approval too lengthy. Whether due to over restriction or delay, special authorization processes can jeopardize optimal treatment for employees with arthritis. On behalf of its members, subscribers and JointHealth™ visitors, ACE is reaching out to private insurance companies who are receptive to learning more about arthritis and its impact on the workplace. At the end of April, ACE and its scientific partner, the Arthritis Research Centre of Canada (ARC), will be presenting an arthritis workshop at the Canadian Life and Health Insurance Association (CLHIA) Claims Conference in Quebec City. Our presentation is part of our focus this year to help advance understanding of arthritis and its impact on private insurers, advisors, plan sponsors (employers) and plan members (employees). The arthritis community needs to work with private insurance stakeholders to ensure that strategies aimed to save money support optimal patient care by taking a holistic view of all cost drivers to the system. Studies by ARC have found that early treatment with medications can reduce the short-term and long-term costs associated with arthritis, work-disability claims being largest among them. Quite often, appropriate arthritis medication or treatment can mean the difference between lifelong disability and return to a mostly normal life. According to Dr. Diane Lacaille, spending $25,000 per year for a biologic to control RA may seem prohibitive, but only until employers consider the cost of the illness itself, including decreased productivity at work, payment of disability benefits, and the loss of a skilled or valuable employee who needs to be replaced and retrained. Knowing this, the cost may actually be well worthwhile. Through education programs, ACE wants to engage with private insurers, advisors and plan sponsors to develop health benefit policies that provide reimbursement for an employee (or their family member) living with arthritis to cover the treatments their physicians say they require to keep them out of hospital, off short- and long-term disability and keep them at work. Ideally, like their co-workers, people living with arthritis will be able to lead productive lives and provide for themselves and their families. With a fuller understanding of arthritis in the workplace, private health insurers and advisors can provide plans with timely access to medications that ensure the beneficiary receives the care needed to maintain productivity, while reducing overall costs, including costly absenteeism and presenteeism in the workplace. According to Benefits Canada, absenteeism occurs when employees do not show up for work. In contrast, presenteeism occurs when employees are physically present at work, but due to physical or emotional issues, are distracted to the point of reduced productivity. Provide an adapted workstation - result: makes a person living with RA two and a half times less likely to be work-disabled. Allow flexible work hours, such as during evenings and weekends. 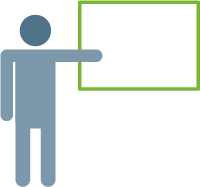 Educate employees and employers about arthritis so everyone knows what support systems are available, including the employee benefits plan. Allied health professional services such as physiotherapy and occupational therapy helps employees maintain physical and mental health helping them to maintain productivity and part of the "corporate culture". 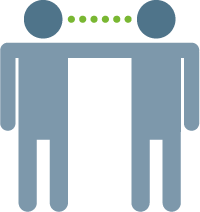 Encourage/maintain good two-way communication with employees who live with arthritis. There are myriad other approaches on ways to improve the workplace for employees with arthritis and reduce the incidence of work disability. For further information, please visit the article "Working with you to improve JointHealth™" in the April 2013 issue of JointHealth™ monthly. As well, visit the Canadian Council for Health and Active Living at Work website here. The slogan for this year's World Immunization Week - April 24-30 - is "Immunize for a healthy future: Know, Check, Protect." 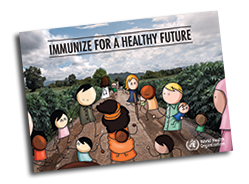 The World Health Organization (WHO) has developed the "World Immunization Week Poster Toolbox" to ensure this year's campaign reaches audiences globally through office, school, or healthcare centres, and online via social media. Please visit http://apps.who.int/immunization-week-posters/en/index.html to download the WHO posters. Hepatitis A and B vaccine - prevents liver inflammation and long-term liver problems To view the complete video, please visit http://bit.ly/GordonDow. The video is available in English only. Do not take a "live" vaccine. Over the past 12 months, ACE received unrestricted grants-in-aid from: AbbVie Corporation, Amgen Canada, Arthritis Research Centre of Canada, BIOTECanada, Bristol-Myers Squibb Canada, Canadian Institutes of Health Research, the Canadian Rheumatology Research Consortium, Celgene Inc., GlaxoSmithKline, Hoffman-La Roche Canada Ltd., Janssen Inc., Pfizer Canada, Purdue Pharma L.P., Takeda Canada Inc., and the University of British Columbia. ACE also receives unsolicited donations from its community members (people with arthritis) across Canada.